• Objective. —To describe the recent trends and epidemiologic characteristics of neural tube defects in the United States. Research Design. —Ongoing surveillance data. Setting. —Two birth defect surveillance systems: the nationwide Birth Defects Monitoring Program and the Metropolitan Atlanta (Ga) Congenital Defects Program for 1970 through 1989 and 1968 through 1989, respectively. Participants. —Between 1970 and 1989, using discharge diagnoses of approximately 1 million live-born and stillborn infants per year, the Birth Defects Monitoring Program identified 15503 cases of spina bifida and anencephaly. Between 1968 and 1989, using discharge diagnoses and clinical records until age 1 year of 38000 infants per year, the Metropolitan Atlanta Congenital Defects Program identified 800 cases of spina bifida and anencephaly. Measurements/Main Results. —Nationwide, neural tube defect rates have declined from 1.3 per 1000 births in 1970 to 0.6 per 1000 births in 1989. In Atlanta, neural tube defect rates have declined from 2.0 per 1000 births in 1968 to 0.6 per 1000 births in 1989. 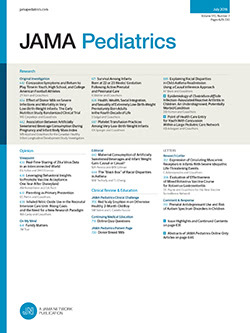 Several changes in the epidemiologic characteristics of neural tube defects were observed: (1) the proportion of spina bifida cases has increased; (2) the proportion of neural tube defect cases compared with the proportion of other unrelated defects has increased; (3) the race ratio of whites to other races for isolated neural tube defect cases has declined in Atlanta; and (4) the rate of isolated neural tube defects in females has also decreased.